If you live in Palm Beach County, and are looking for two dynamite places to throw a party, check out Peanut Island Park and Loggers Run. Both parks offer clean and spacious grounds with pavilion rentals for your convenience. Here are a few things to point out about these great locations that we think you might find helpful when planning an event. No matter if you’re planning an outing for the whole family or the entire fifth grade, it’s always good to keep a few places in mind to throw a good party. Loggers Run is a terrific place for your gathering with a large pavilion that’s suitable for big groups. There is an assessment fee of $25.00 and you should contact their offices to find out about permits and vendors. No advertising for large parties is permitted and reservations need to be made 90 days prior to your event. They do offer things like volleyball and tug-of-war for equipment rentals. If you plan on including this, they do require a $50 deposit. Be sure to check their website for more information on renting this type of equipment. They do allow pets at this park, but as always you need to keep your precious pooches on leashes as a state law. Music is permitted, but you need to get this okayed with the park customer service before the event. The sound can’t travel louder than fifty feet, so keep in mind, you’ll need to be cautious with your DJ’s. Even though you can’t blast out the neighbors this is a great park and one you’ll really enjoy if you’re looking for something simple, meaning not a lot of amenities. If you’re seeking a park that offers more, check out Peanut Island. 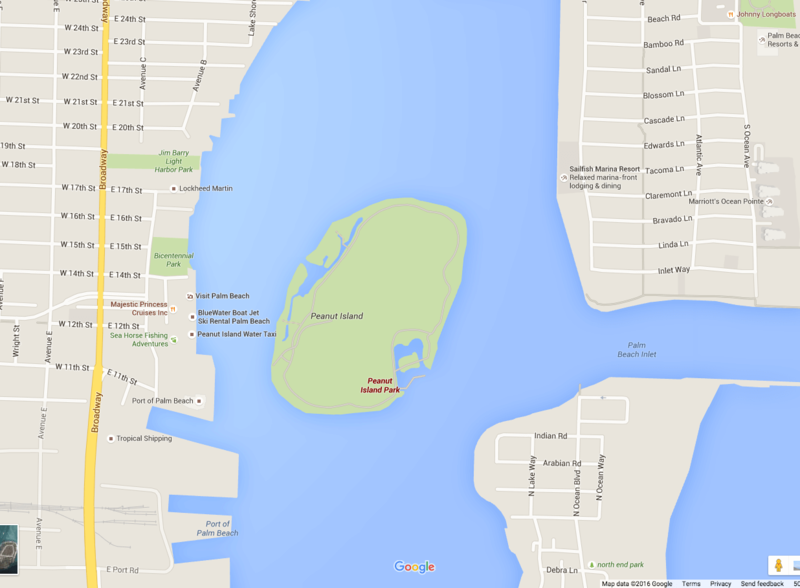 Peanut Island is a No Alcohol park that’s located near the Intracoastal, near the Lake Worth Inlet and Riviera Beach. The beach itself offers quiet sandy locations and is close to cabana style pavilions. You can see manatee often in the water munching on grass and other plankton. If you’ve got a boat, there’s plenty of room to dock or launch. Peanut island has designated swimming areas with lifeguard on duty during specific times between 9:15 to 4:45 pm daily. The 80-acre park is great for church functions and has the ability to service large groups. Be sure to bring food as they have no concessions, but do have first come-first serve picnic and grilling areas. The water taxi and Captain Joe’s Peanut Island Ferry both docks in this area if you’re going to make it a smaller family or guest tour. To contact the Palm Beach Water Taxi dial 561-683-8291 and if you’d like to learn more about Captain Joe’s visit their website at www.peanutislandferry.com. If you choose either one of these locations to be your destination make sure you let them know the folks at South Florida Bounce sent you. We’d love to hear what you think of either one of these great parks, so drop us a line. If you are having a party and need to rent tables, chairs or any other party needs – Call South Florida Bounce – We have bounce house rentals in Palm Beach County but we also do Party Rentals in South Florida.